Since the beginning of the European Community students of international politics and of international, resp. Constitutional law, have been wondering what kind of animal it is, and will be, once integration has been completed. Whereas the EC Treaty of 1957 stressed the economic aspects and envisioned a steady and dynamic progress towards a Single Market, it was conspicuously silent about the political implications of integration and the new democratic order. 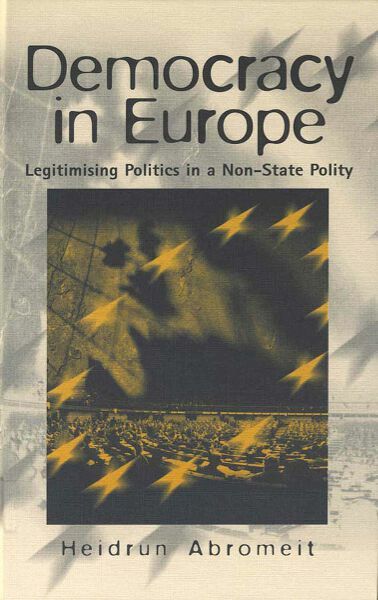 What is needed, so the author argues in this powerful and original contribution to the debate on democratisation of the European Union, is a flexible system that supplements the European decision-making process with various direct democratic instruments such as the use of referenda. These would serve to increase the accountability of the politicians without demanding or requiring a definitive resolution of the exact constitutional status of the Union. Heidrun Abromeit received her Ph.D. and her Habilitation from the University of Mannheim. She has published extensively on the relations between state and industry in Western Europe andnow holds a professorship at the University of Darmstadt.